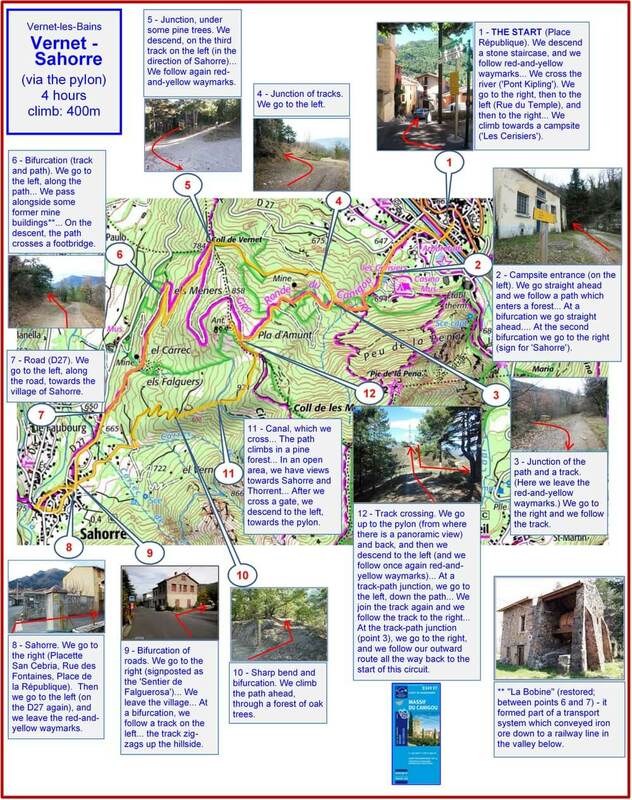 This circuit climbs through woodland to an open hilltop above Vernet-les-Bains. Then it descends into the next valley to visit Sahorre. It passes several remains of a once-flourishing iron-ore mining industry.